To date we’ve only seen QLC NAND storage in the consumer SD card format, however, that’s set to change as Micron announces the first QLC SATA SSD for the data centre. The Micron 5210 ION SSD will deliver up to 7.68TB of capacity in a standard 2.5″, 7mm form factor. But there’s a catch – write endurance will be lower than previous products, making this a read-intensive device. So what’s the benefit here? There are currently four types of NAND flash products. SLC (Single-level Cell), MLC (Multi-Level Cell), TLC (Triple-Level Cell) and QLC (Quad-Level Cell). The difference in each type is the number of bits that can be stored in each cell – from one to four respectively. See this post for more detail on the definition of QLC and how it compares to the other NAND formats. Increasing the bit count per cell reduces the cost and increases the density of NAND chips, with this translating into cheaper, larger capacity products. What are TBW and DWPD? The disadvantage of increasing the cell bit count is in reduced endurance. This means that QLC devices will take much fewer writes before they wear out, making them generally suitable for read-intensive workloads. Check out this post for more details on how endurance is defined. QLC represents a 33% increase in capacity per cell compared to TLC. Anyone who has been keeping track will know that we’re already well past the 7.68TB mark with SSDs (Micron 5200 is already 7.68TB), so why is Micron announcing such relatively small capacity QLC drives? Firstly we can expect the manufacturing process to have been increased in order to gain reliability. This means fewer cells per square millimetre of silicon. Second, Micron is currently only at 64-layer 3D-NAND, but then so are most of the other manufacturers. The other difference between the Micron 5210 and say, Samsung PM1643 is the drive height – 15mm rather than 7mm. This lets Samsung cram in more chips per device. So, we can expect 7.68TB as an entry-level capacity for Micron QLC drives. With increased 3D-NAND layer counts (96 layers promised in generation 3) and reduced manufacturing process, more of that 33% increase should be realised. So what is QLC for? Reduced endurance means a greater focus on read-biased workloads such as analytics where the same data is accessed repeatedly. Other scenarios include content distribution and media streaming. With large capacity, relatively cheap drives, it would be practical to use QLC to cache content at the edge of the network, for example. One other point of note here; we have yet to see any performance numbers, but should expect QLC to be much slower at writing than previous drives. Compared to hard drives, the number of SSDs needed to get the same level of read performance as a large HDD array would be vastly reduced with QLC. This will put increasing pressure on the HDD market, which is slowly retreating to the archive use case. 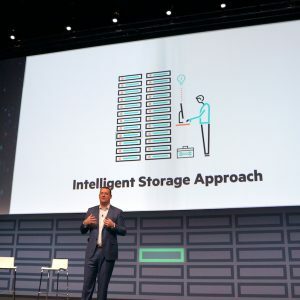 When TCO is considered, the pull to move away from HDD will be even greater. Having said that, Micron has not provided any pricing yet, so it remains to be seen how much cheaper QLC will be. What is most interesting in this announcement is how QLC will be adapted into products. 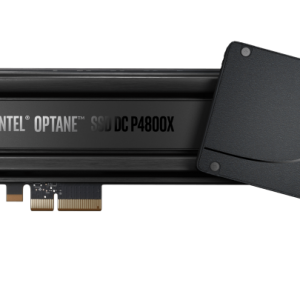 We now have three generally available types of NAND (excluding SLC), plus the availability of Optane and SCM/PM products. The performance of NVMe is also vastly greater than SAS/SATA devices. 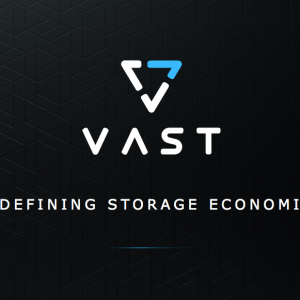 It seems logical to expect that we will see a move towards tiering in the same way we did with traditional storage arrays. However, tiering within a single appliance only makes sense if the differential in cost is good enough. A small differential means the benefit of including lower endurance QLC isn’t worth the effort. Instead what we could see are more high-capacity read-focused arrays that are built purely for serving content or running analytics. 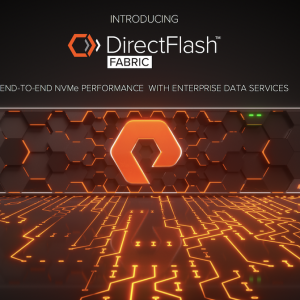 Regardless, flash continues to reduce in cost and gain wider data centre adoption. Copyright (c) 2007-2018 – Post #EAB5 – Chris M Evans, first published on https://blog.architecting.it, do not reproduce without permission.